Tracy from the Mad Quilter is sharing her pattern to make a 6-18 month old toddler top and crawler pants. Thanks for sharing this sweet little ensemble with us Tracy. For all the clever crocheters out there take a look at these cute flower hot pads. I would love to be able to do this but alas I will just dream that maybe one day I will be get brave enough to attempt them. There is more inspiration of other hot pads in lovely colours here to look at too. 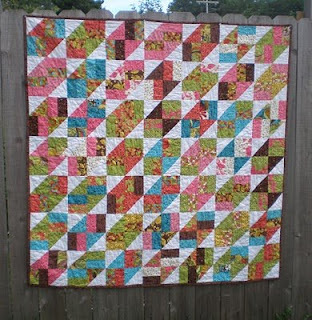 The Moda Bakeshop have yet another great quilt I would love to make. The Sassy Steps throw quilt is made with charm squares....and I do love the new Spirit range of fabrics used in this quilt. 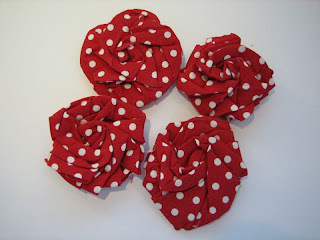 Calamity Kim shows how to make folded and twisted fabric roses/flowers over on her blog. 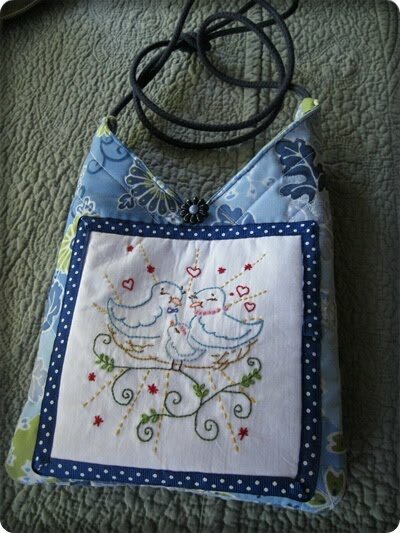 Carla from Oh Sew Addicted is sharing a cute embroidered birdie sling bag with us. 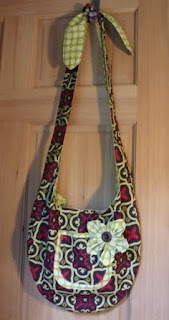 Lovely with the embroidery or just make it with some of your favourite fabric. CraftiStaci has a few different tutorials over on her website to share with us. In particular I like her Monkey Sling Bag and fabric flowers. Thanks for sharing Staci.